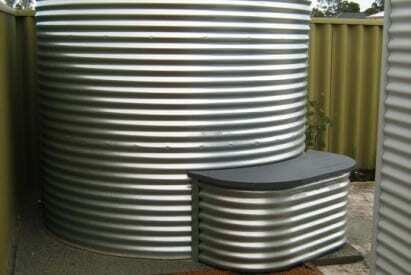 Rainfill Tanks manufactures a range of steel products suitable for rainwater storage, raised garden beds, roofing and a variety of other uses. Each one is a specialised and highly technical niche by themselves. We group these products under a general umbrella so that the people in the WA region can see we are the one stop shop for all your rainfill tanks and curved roofing supplies. Our diverse collection of services isn’t the only thing that our team can do. We also ensure that the solutions we provide will actually work. Our expert team can custom design most corrugated iron products for your convenience, making rainwater tanks to suit your property’s style and dimensions and raised garden beds to fit any size garden or yard. Our experienced team of designers and builders will custom design a product and install it, making sure everything is working as it’s supposed to. The goal of any competent business is to give customers the best experience possible when working together on a project, and our team takes that goal seriously. We are super experienced and have a knack for getting things done right in terms of aesthetics, size and installation. Being able to custom design a product means you get to maximise every space on your property without compromising on functionality or aesthetics. We offer the best of both worlds as often as possible whenever we install anything for our customers. Our products are durable and attractive, and can be installed to complement your home rather than dominate it.